From selecting the right composite materials to injection or compression molding the product, Mar-Bal delivers on your needs. The Mar-Bal engineering team would be happy to help you identify the correct custom composite material for your application as well as the best approach to design for manufacturability. Mar-Bal's One-Source model works with customers from end-to-end with design, mold and manufacturing capabilities. 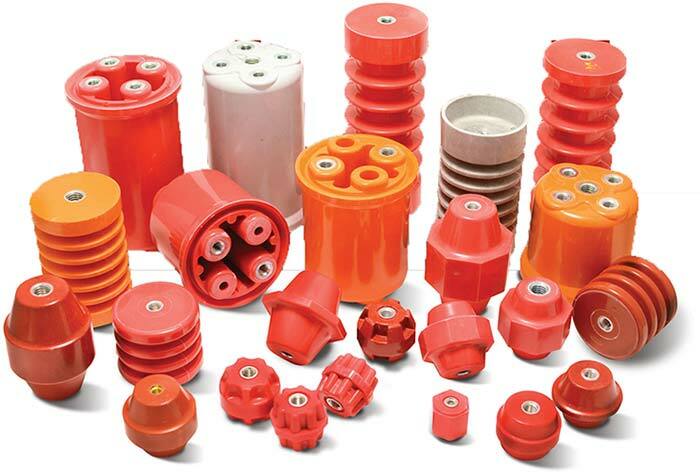 Mar-Bal, Inc. is the largest manufacturer of BMC molded Standoff Insulators in North America with the industry's two leading brands, Glastic and Mar-Bal. Our UL Listed Standoff Insulators are molded from a flame retardant and track resistant glass, reinforced thermoset polyester molding compound recognized for current carrying devices by UL. These shatter resistant insulators meet the most exacting standards for a variety of applications.